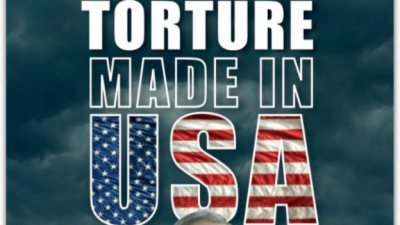 In a clear violation of the Geneva Convention, the US made systematic torture a staple in its fight against terrorism. This revelation has resulted in international condemnation and lamentation, but nobody has been held accountable for torturing terror suspects — many of whom were released later without any charges having been filed. The American Civil Liberties Union (ACLU) hopes to change that. On behalf of three torture victims, one of them who died while detained by the US, the ACLU filed suit against James Elmer Mitchell and John “Bruce” Jessen — two psychologists who helped devise the Central Intelligence Agency’s (CIA) torture program. “Mitchell and Jessen conspired with the CIA to torture these three men and many others,” said Steven Watt, a senior staff attorney with the ACLU Human Rights Program. Still, for coming up with a series of “enhanced interrogation” techniques — as torture deniers refer to the methods used — the two of them were paid more than $1 million each. Their company, Mitchell, Jessen & Associates, received a total of $81 million. While the two psychologists made out like bandits, the “War on Terror” was less kind to the plaintiffs in the lawsuit. Gul Rahman, an Afghan citizen, lived in Pakistan until he was abducted in 2002 and sent to a secret CIA site in Afghanistan. He died of hypothermia after being tortured. At the time of his death, he was naked from the waist down, chained to a wall and forced to sit on the ground. According to the ACLU, his family has never been officially notified of his death, and his body has never been returned to them for burial. The third plaintiff is a Tanzanian man named Suleiman Abdullah Salim. He was also sent to CIA “black sites” in Afghanistan and tortured there. After being held for five years, he was released and received a document stating that he posed no threat to the United States. The lawsuit alleges that the plaintiffs were subjected to (1) solitary confinement; (2) extreme darkness; (3) extreme cold; (4) noise; (5) repeated beatings; (6) starvation; (7) excruciatingly painful stress positions; (8) prolonged sleep deprivation; (9) confinement in coffin-like boxes; and (10) water torture. Under the Alien Tort Statute, the ACLU is seeking at least $75,000 in compensatory damages for each victim — less than 1/1000th the defendants’ firm received for its “work.” That statute allows foreign nationals to sue in US courts if they were subject to a human rights violation committed outside the country. The American Psychological Association (APA) condemned Mitchell and Jessen after their involvement in the torture program became known late last year. At the time, APA President Nadine J. Kaslow stated that “if the allegations are true, they [Mitchell and Jessen] should be held accountable for inexcusable violations of ethical principles and legal standards.” An independent investigation later found that the APA was also complicit in the US torture program. The US judicial system rarely punishes those who violate national and international law — when the violators serve established interests. Indeed, whether it was the systematic torture of prisoners, or the spying on Americans by the NSA, the architects and authorizers of these programs have escaped all punishment. The ACLU and its allies obviously realize that Mitchell and Jessen are cogs in a larger machine. But they presumably hope their efforts will lead to accountability further up the chain.